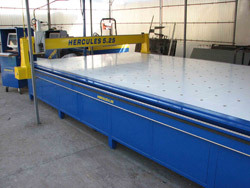 If working with composite materials, polyurethane foams, klirit and similar materials, and the aim is to work the contours to a high degree of precision, then we can recommend our CNC work station HERCUL 5.25. It works based on drawings in the programs AutoCAD and Corel Draw. Active work surface: 5000x2500 mm. Speed of positioning: 350 mm/s. 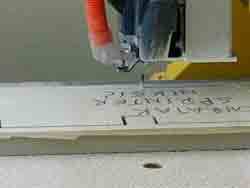 Speed of cutting 0,1 to 10 mm/s.